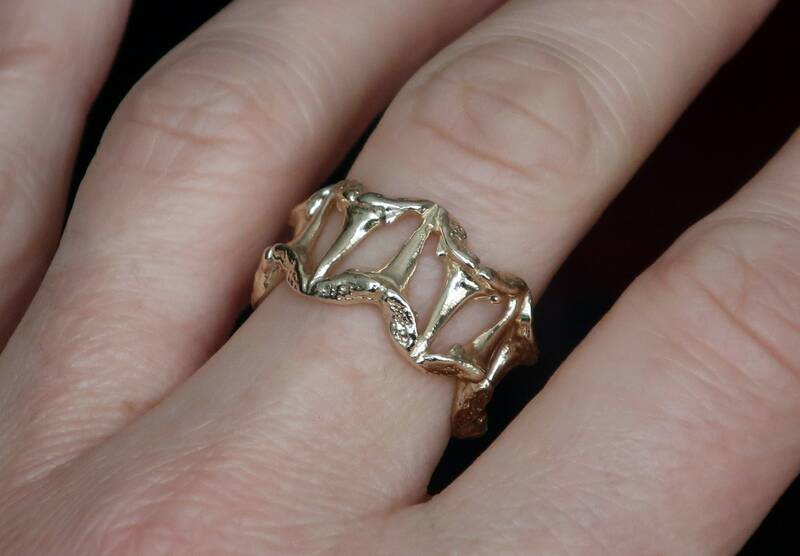 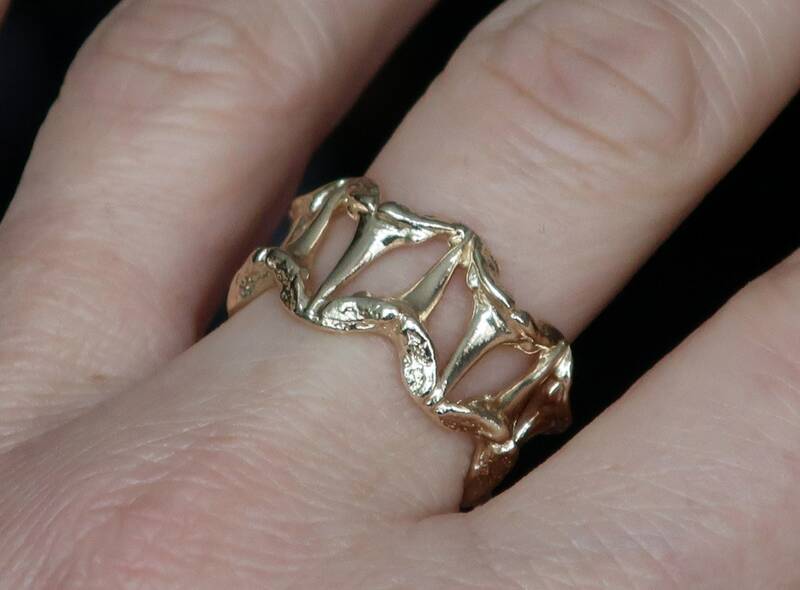 This Striking ring is molded and cast from small shark teeth arranged in a pattern to form the band. 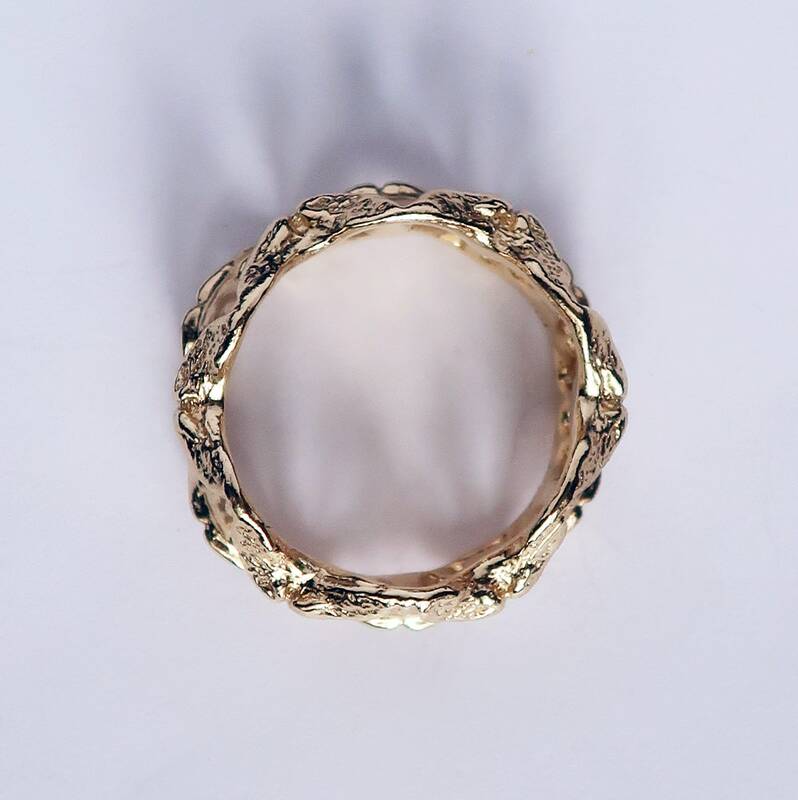 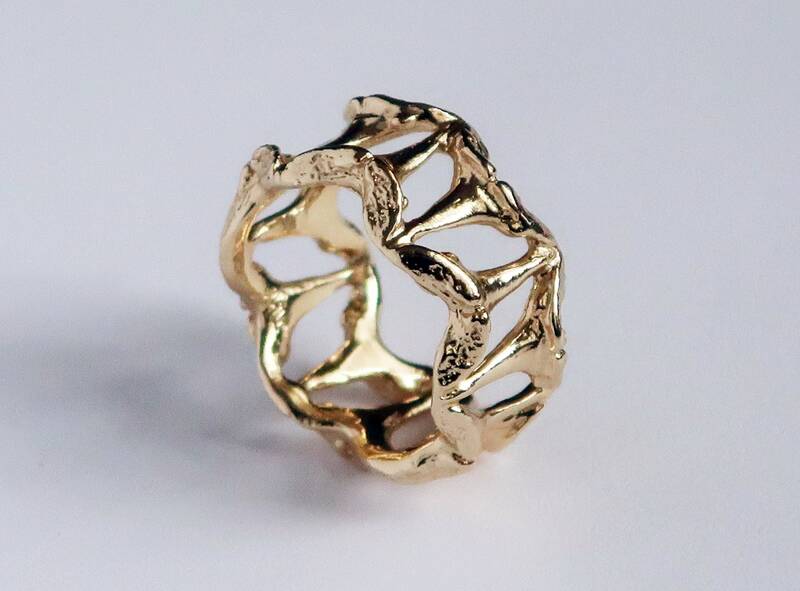 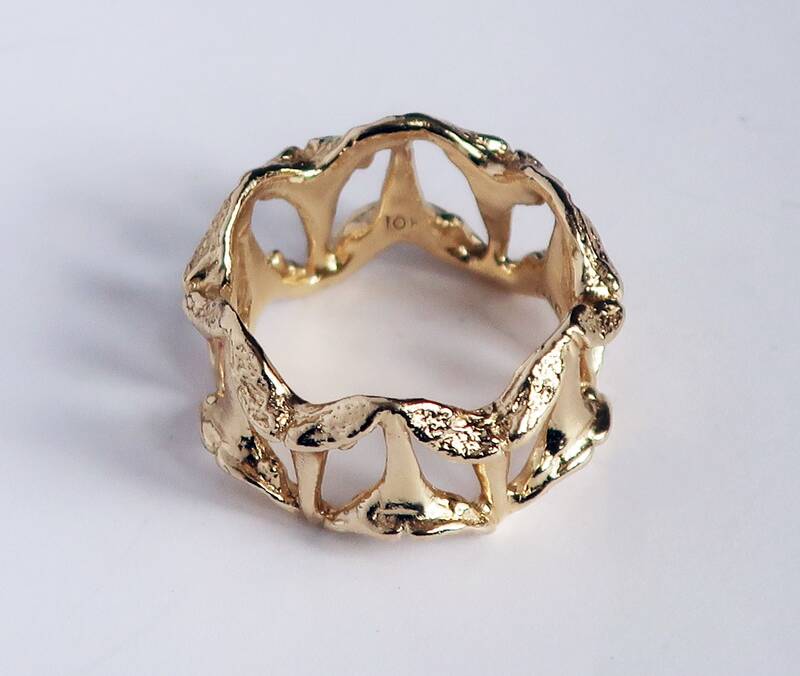 Cast in solid 10k yellow gold. 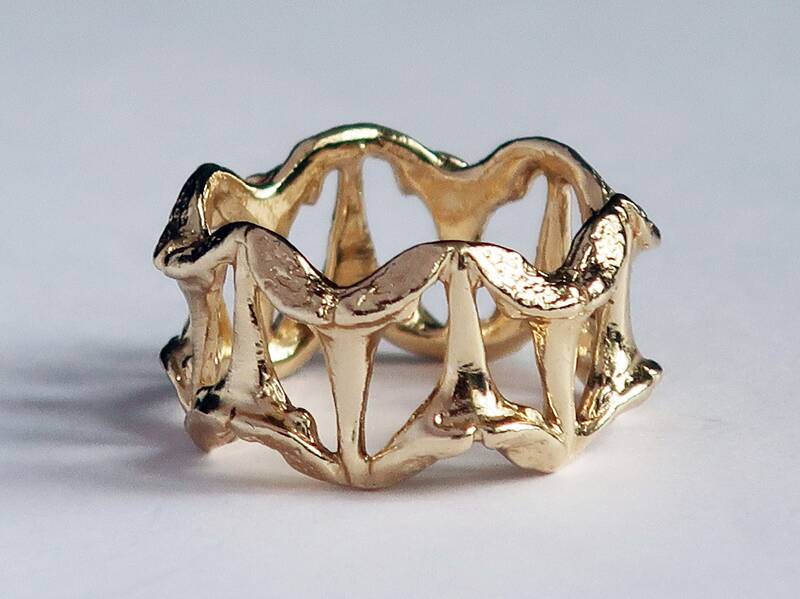 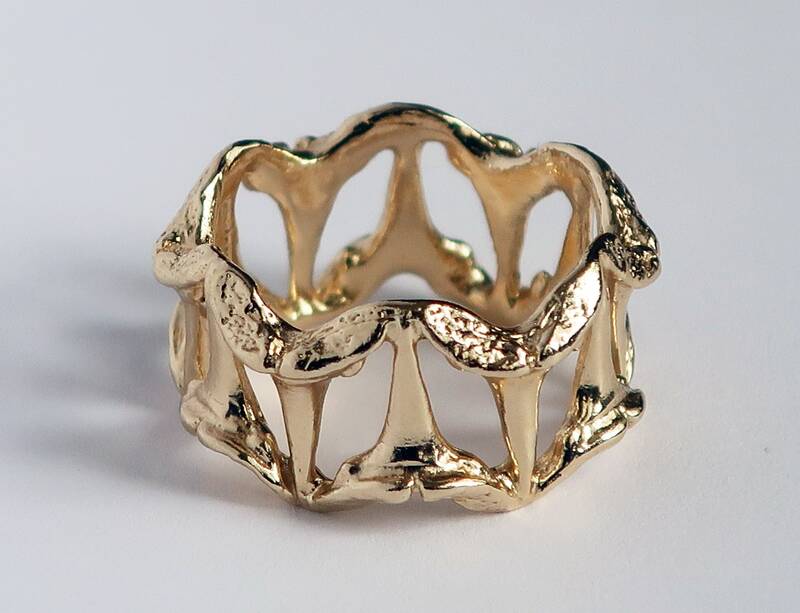 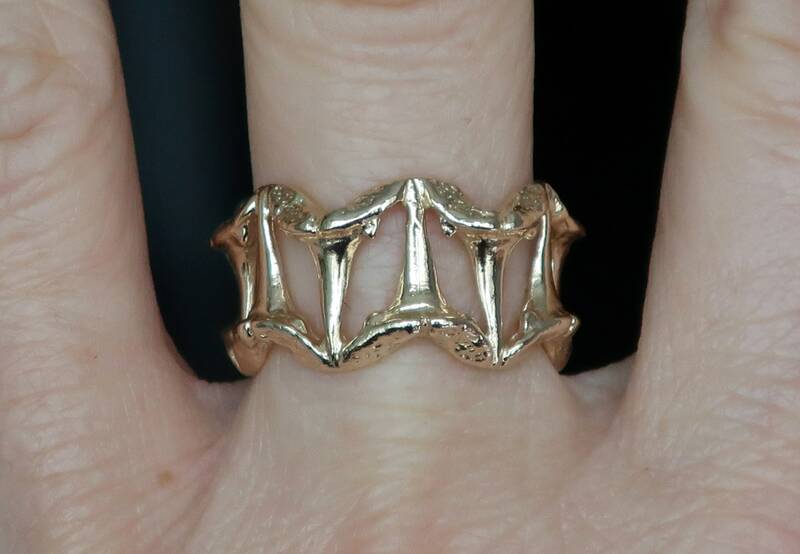 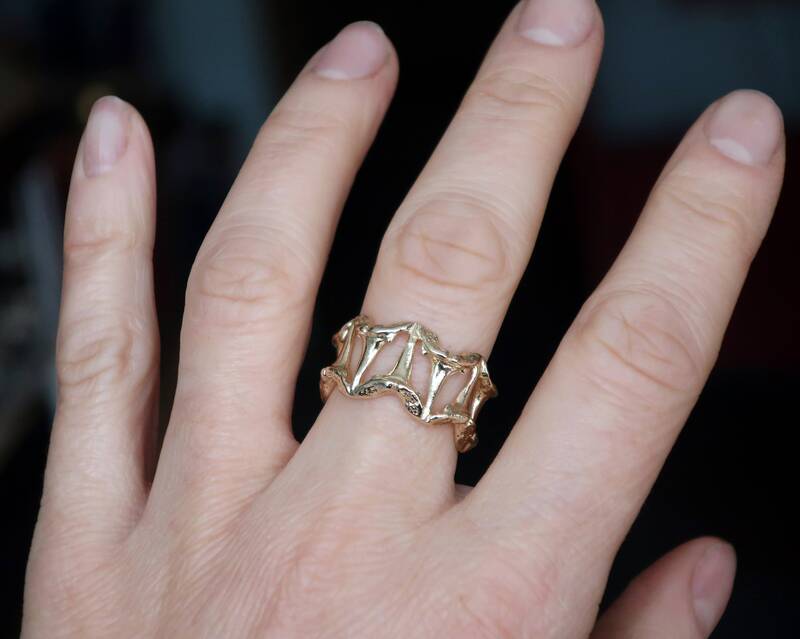 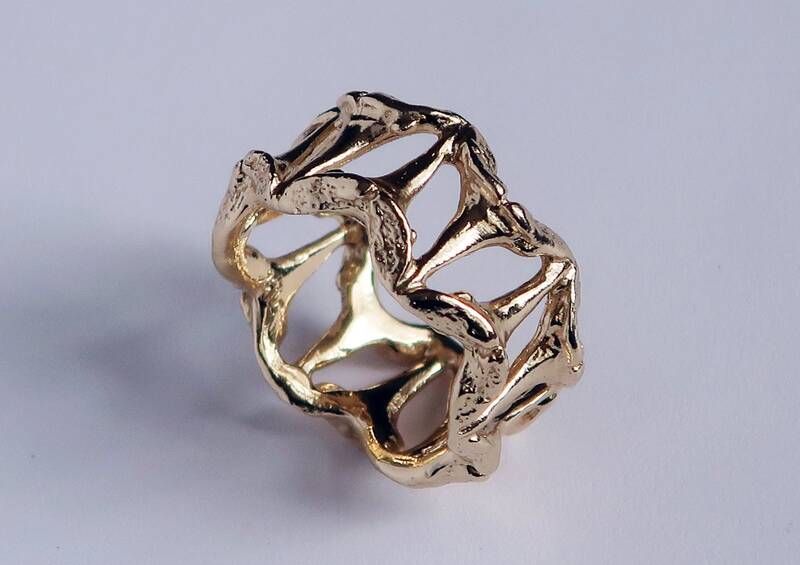 Please contact me for a quote if you would like a version of this ring cast in a different color or karat of gold.